SAN FRANCISCO (WLS) -- One of the NFL's most promising young players shocked his team and fans Tuesday when he retired from the game after just one season because he's worried about possible head injuries. 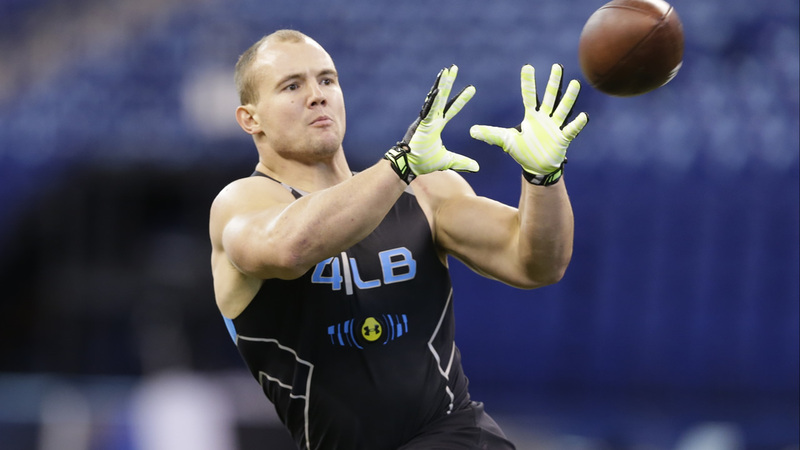 San Francisco 49ers' linebacker Chris Borland was in a position to earn millions in his next contract, but he walked away after deciding the risk of head injury is too great. "Am I going to commit to the prime of my life to something that could ultimately be detrimental to my health," Borland said. Head injuries are a growing concern for young athletes everywhere. Former Bears wide receiver Greg Primus spoke this weekend to athletes with the National Council on Youth Sports safety, which is working to reduce the risk of head injuries in sports. "To try to preserve the sport, but make it as safe as possible," Dr. Primus said. Borland says the case of former bear Dave Duerson influenced his decision to retire. Duerson believed suffered from football-related brain damage and committed suicide. But it's not just football players. Olympic bobsledder Aja Evans also speaks to young athletes about the risks. "I just think there's a bigger awareness for it, and how severe it can actually be," Evans said. That's why a company called Eon Sports had developed a virtual football training system that's already being used by a number of high school and college teams. "It'll decrease the risk of injuries significantly because there won't be as much hitting during the week," said Dr. Raj Khanna, Eon Sports. Virtual football will never eliminate hitting on the field, but it may help keep players safe in practice so they can perform on game day.